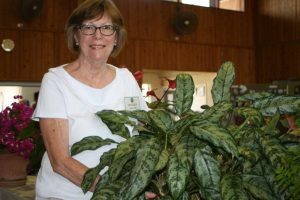 The Local Ambulance Committee will be holding its annual Flower Show on Saturday, September 29 at the Tin Can Bay Community Centre. Doors will open at 9.30am with the presentation to prize winners at 2pm. Flower and plant entries can be delivered to the centre between 2pm and 5pm on Friday September 29. Entry forms will be available at various outlets including both libraries and can also be obtained at the Community Centre on Friday September 29. The committee look forward to having your beautiful flowers and plants on display. A photography competition will be part of the show and, as always, will showcase the remarkable talent in the local area. Public support for the show is much appreciated as all proceeds go towards helping our Cooloola Coast Ambulance Service. The Flower Show will also have stalls, raffles and plants for sale, as well as morning and afternoon tea. Please come along and spend a very pleasant few hours among all the garden lovers and keen photographers in our community. For more information, contact Cheryl Zunic on 5486 8070. If you are going camping during the school holidays, please remember to be aware of the dangers for young children around campfires. A fire should be put out with a bucket of water not sand or dirt. If burns occur, they should be treated with cold running water and medical assistance sought immediately. Wham bam, thank you nan! Sound of Teen Spirit will have the X-factor! Greg is back in the pool! Reel in the prizes at Rainbow’s Fishing Classic!